I was making minor changes and ended up changing the whole design! 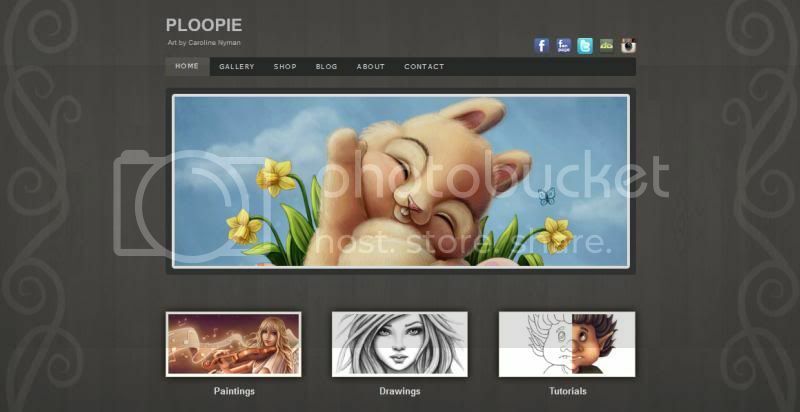 I wanted a better "intro" to my website that was more focused on my art than anything else. Some features of my paintings and big image links to my paintings, drawings and tutorials. So this will have to do for now, added some swirly things (originally made for the wedding image but got scrapped in the end) so atleast something selfmade. What to do think, does it look better than before? Any tips how to make it look even better?